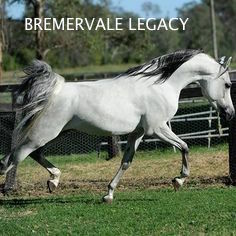 Pine Lodge Mississippi is a 1998 NZ gelding, bred by Keith Galpin from the purebred Arabian Australian imports Bremervale Serena, and the sire Bremervale Legacy. In 2001, Donna Fox went to Galpin’s stud to look for a riding horse, but he had nothing suitable. As chance would have it, Galpin was ‘passing by’ Donna’s place a few weeks later, and he had Miss on board, convinced that the unbroken 3yo was the horse for Donna! Galpin was travelling south, and said that if she really didn’t want him, he’d pick him up again on the way home. 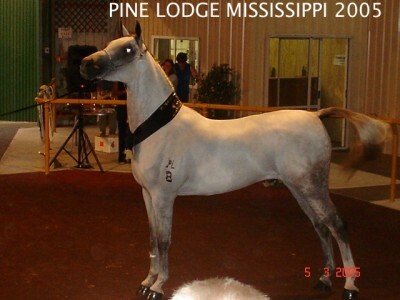 Mississippi was a striking individual from an early age, so there’s no Sherlock awards being handed out for guessing that the horse stayed put! He was too pretty be a gelding hence his name was shortened to Miss, and true to form he quickly established himself as the best boy! I’ll let the rest of his story run in Donna’s words. Her respect and pride in him shine out, and we can’t imagine how devastated she was to find he’d being chucked on the scrap heap. ‘All my Arabian horse friends said he would be too much for me, and he was. Way too much horse. However, he did not have a dirty bone in his body and I only ever experienced one buck when his tail got wet crossing a river. He never threw me off but we did crash and burn a few times. He never kicked or bit or had any vices other than he completely believed he was royalty and should be first in line for everything. He took the attitude right from the start, that he knew it all and if I only I would just sit there and let him get on with it – hence the odd crash. Miss was like a Border Collie, he was born to work. He just wanted to get out there and do it, skip, all the fancy educating and get on with the job. He was very quick and easily bored. Mentally he had to be engaged all the time. Left to his own devices he would think he knew it all and take shortcuts. He was a horse that you had to have a full riding partnership with, you could not go to off in a daydream. He was very easy to read, and when happy would blow thru his nose at every stride, in this odd sort of soft puffy snort. He was a talkative horse. 2.) how long had my horse been jumping. Highly embarrassed I explained I had misread the lesson advertised. She told me to get off my horse, she got on, and basically that was that. I didn’t get him back for several seasons. Rachel successfully campaigned him as a Show Hunter, Show jumping and lower level Dressage. But showing is where they really came into their own, winning many, many Championships. By 2004/5 Miss had won just about everything there was to win and had become bored with it all. 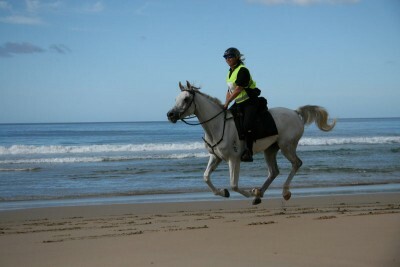 I had started taking him to more endurance rides to give him a break from showing. He couldn’t wait to get out there but again after a number of 40k rides, I realised I didn’t have the experience or the time to take him to the top. Linda Kenney a seasoned rider, agreed to campaign him. Linda’s first ride on Miss was similar experience to Rachel’s. We went out for a ride in the forest and after she watched him for few kilometres I said ok, lets swap horses and you try him. The last I saw of them both was Miss’s tail disappearing out of sight at a full gallop. Took me over an hour to catch up with them. If a horse could grin, then he was grinning! 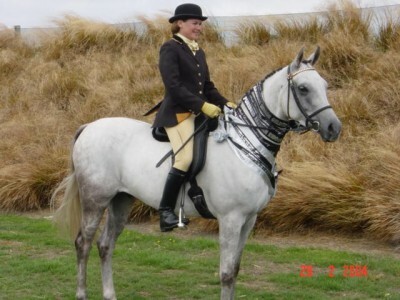 Miss and Linda had two very successful seasons and many placings up and down the country. Miss was almost always in the top 3 home, and winning some of the more tougher rides. In the winter off season Miss would come home from either Rachel or Linda to be turned out and have a much-earned rest. However, he would last about 4-5 days and then start bugging me. He would wait at the gate and call out, or if he was in a paddock close to the house he would stare for ages through the windows until I would give up and go and get him. Then we would be off doing whatever, barrel racing, fun days, games, winter events, beach and forest rides he was the epitome of the diversity of the Arabian breed. Miss was full of himself, brave, strong willed, determined, loyal, and if you made that connection with him there was nothing he wouldn’t have a go at. He was the only horse I ever rode caught in a full electrical lightning storm, up the back hills of nowhere, and he still had his ears pricked cantering into blinding, driving rain. 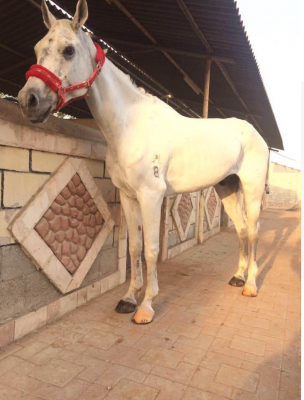 In 2007 Ahmad bin Ghalita and his brother from Fazza Endurance Stables first approached us, and then by the second time they showed interest in 2008, Miss was rising 10, I felt he had done all we had set out to achieve and more. At the time a lot of us thought selling overseas was an accolade to the horses selected. Time was to prove us wrong. Had Miss been chosen to represent NZ we may have reconsidered but Linda and Miss were never considered. So, I let him go. It must be noted that as far as I know the brothers kept their word, and did not sell him on, until obviously, he was past his use by date. His papers show he was still registered to that stable and he still had shoes on, and remained from what I could find, registered as actively racing. I thank the good Lord the group spotted him when they did. 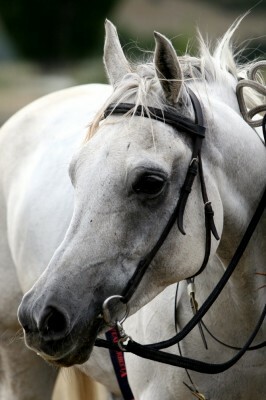 Not many people have a once in a lifetime horse, but Miss provided a number of us with that special experience. At 19, and now in a safe haven, I wish him many more happier years to come. 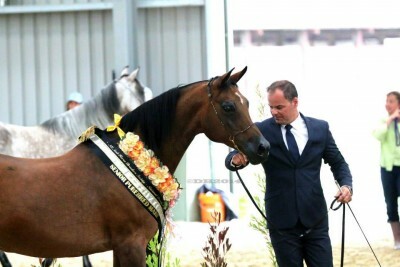 To own an Arabian horse is too be truly blessed.